As the fog has lifted from my mountain top experience last weekend, some realizations are just beginning to make themselves clear. One of these was understanding the “why” behind the joy I had experienced. In the months leading up to the Relevant Conference I had felt my heart pulling away from my “real life” friends. I used to find contentment, camaraderie, and a way to process what I was thinking through those relationships. Now I was finding those things through writing and my online “twitter” community. From the moment I started my trip to Pennsylvania I was interacting with “real people”…and I loved every second. Conversing with over 200 like-minded women who desired to know God & to make Him known was life-giving to me. 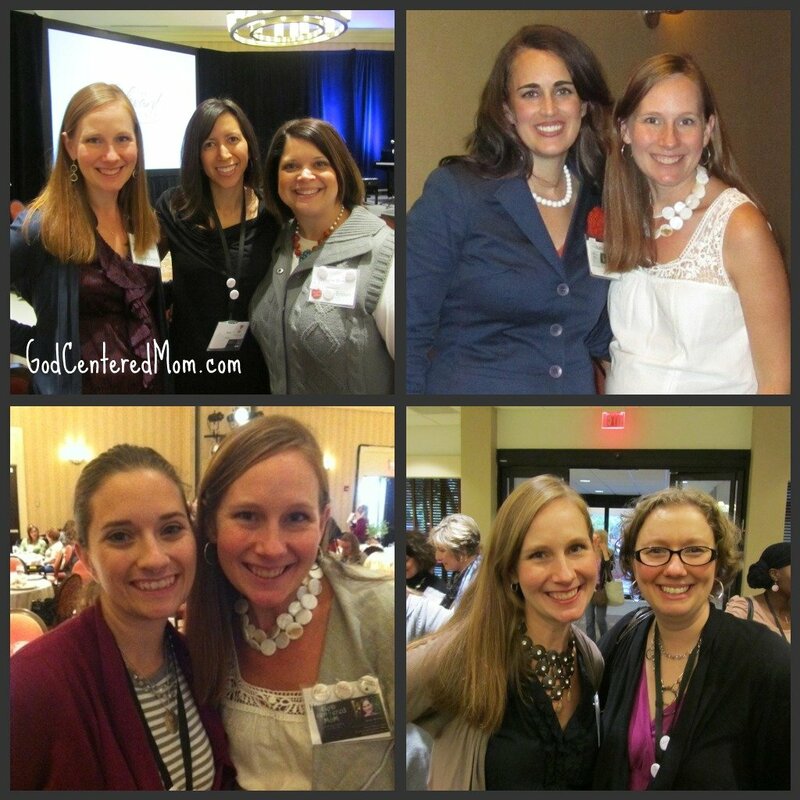 I remembered God created me to interact face-to-face with other women. Something magical happens when women talk with one another in real life. You listen. You feel. You connect through the back & forth. You can read emotions that may not communicate themselves through a computer screen. Joy came when I sat down with another soul and we shared God’s working, His provision. When we found, despite our differences, a connection. We encouraged one another through words, a resource, Scripture, or previous experiences. I arrived back in Dallas and I was immediately reminded that I am fortunate enough to have “real women” in my life. Ironically, the week following Relevant was full of “real life” encounters. Each day I interacted with a least a handful of women and there was a new set of women each day with whom to connect. Looking back over the past week I’ve had as many real-life deep conversations here in Dallas as I did when I was at Relevant. How blessed am I? I had been pouring into my computer and finding fulfillment through this writing process. Yet my real community has been right here waiting for me. However, maybe you do have women available to you that you are not pursuing in relationships. Are you in a MOPS group? Bible study? Sunday School class? Community group? Is there another woman in those groups that you find interesting and you would like to get to know better? Here is my challenge: Call/email/text someone this week to meet for coffee or a playdate. When you get together, go deep quickly. Don’t be afraid to ask what God has been teaching her this week. Share what challenges or joys you have been experiencing. Host a “create & conversate” night in your home…have a little dessert & coffee available and each woman brings a craft, project, menu planning, etc to work on while you chat. Invite a small group of women over for dinner. Pull out some nice dishes, napkins, light candles. Make a centerpiece to give away to someone there. Put get-to-know-you questions under each person’s plate. Ask a few girlfriends to read a book with you. Then get together at a local Starbucks and discuss what you read. Sign up to host an Incourage (in)RL Beach house meetup for April 27th & 28th. It’s an online convention you can host from your home. There will be speakers available through a webcast. They will give each participant a t-shirt and help the host with ideas for making it special time of community. We need each other. We were created for community. Real Life Community. I live this Heather. This crazy place where I have online friendships that are real and deep and filling my heart. I also have real life friendships with dear friends as well. Many of them do not blog. So I think at times, they are puzzled that I can meet a friend online and go deep with them as well. But, it works. Both ways. Relevant has taken those online friendships and made them inRL. What a blessing! I love your challenge here to get into real life. I also love that you said, “Go deep quickly.” As moms, if we wait, in 2 minutes the kids will interrupt. So if we don’t go there, we may not get to. Thanks so much for linking up sweet girl! thanks stacey! 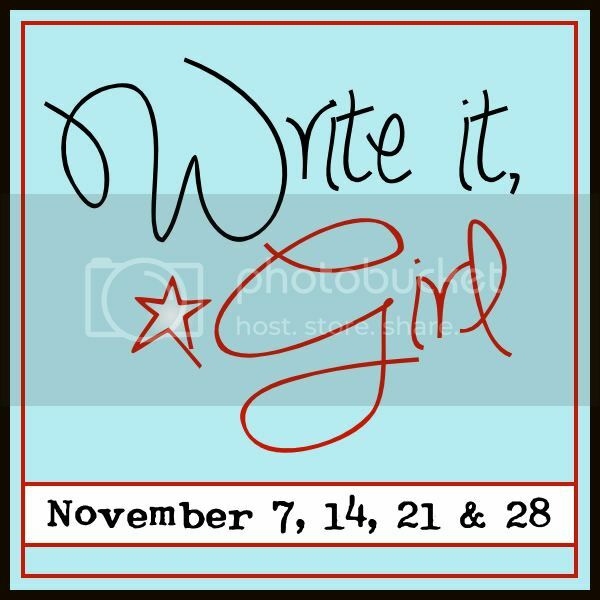 and thank you for following God’s leading to start “write it girl!”…such a great idea. I love that pic and definitely need a copy of it!! I also needed this post- I really need to connect with some gals here locally! Thx for the reminder!! will send some of our pics your way! yes, definitely find local kindred spirits…so very worth it! heather, this really spoke to me today. i feel this deep desire to have intimate conversations with others daily. when you are on fire for jesus and see what he is doing in my own personal life, as well as others around me, i truly want to shout it from the mountaintop!!! when i am fed and overflowing with love from the lord, i desire that for others as well and i just can’t wait to share. so thank you for the encouragment to pursue this…and to pursue it quickly!!! i want to be so real…i want others to see jesus in me…and that starts with being open and honest about his work in my life. thank you friend! oh sweet friend! you are doing it! you are one of the women in my life that shines with Christ’s love in all you say and do. I’m so thankful for our friendship and for the chance to “go deep quickly” with you! I love that you are the entry before mine (the one Katie and Stacey asked us to comment on). I consider myself blessed to be considered your friend, your sister in Christ. For this “writer”, it is difficult to put into words what our friendship has meant to me. Ironically, I love the fact it started via twitter. I knew through the tweets we shared we had a unique like-mindedness. When we met, it was confirmed. I love the fact we’re on this journey together. Your words encourage me, prompt me and reassure me. i agree…hard to find words when God places the perfect person for the perfect time in your life. Thankful for you and for how this adventure will continue to develop! It’s hard to go deep sometimes, isn’t in? I think the fun thing about Relevant is that we knew we already had so much common ground. In “real life” there are so many unknowns of what people are going to think! More and more, over the years, I am realizing that SO MANY feel isolated! Even amidst the playdates and Bible Studies. You can be busy with things, but still not connect with people. Love your challenge to be the one who initiates. Sometimes that is all it takes! so very true. It has taken me having moved to lots of new cities to be willing to forget myself and initiate those relationships. I’ve found I have so much more to gain when I do pursue others and so much to lose when I hold back. Yes, we need community. In real life, definitely. And online is simply an extra perk and blessing. Thanks for sharing your perspective and the way God worked in your life. It is beautiful! Love this. Thank you. I feel so lonely, and do find my only social life is online. I am around people so much, (church, working, etc) I just don’t take the time to cultivate a friendship amidst raising 4 kids, taking care of my hubby and home, and working 3 side jobs. When do you find the time? I also feel socially awkward at times and have a hard time starting friendships. I don’t like being that way. thank you jessica for sharing your heart and your challenges. i think making time for female friendships is like “putting the oxygen mask on yourself first”. Life is busy. sounds like yours is extra busy. Often we have to schedule time for friendships. Could you meet a friend for coffee on a saturday during naptime? Go out to lunch with another family after church? Find one night a month to get together with another friend to chat? or to meet with a group of women? I don’t know if any of those options would work for you. As far as feeling socially awkward, I think sometimes that comes from lack of practice. Also from being overly concerned with ourselves and our insecurities. Seek God and find security in Him. Then when you talk with other women they won’t even see you…they will only see Christ through you. I hope that doesn’t sound “trite”. i really think it’s true. Let me know if you have any other thoughts. Hi. Your message of our need to have real face-to-face conversations is so important, especially in today’s media-minded world. I love writing and blogging and meeting other writers, but I so agree with you: face-to-face is best! I wasn’t at Relevant this year, but maybe we’ll be able to meet next year! I look forward to reading more your words. So true! There’s nothing like interacting face-to-face. I’m such an introvert (with hermit-like tendencies I confess), that I so easily forget how irreplaceable my IRL relationships are.